Meeple Realty has made some incredible wood game inserts before, but the new insert they’ve done for Trickerion is on a whole new level. It’ll be available in limited quantity in our booth at Gen Con (#1739). You can wait to buy one at the show, or you can guarantee one by pre-ordering it now from our store and pick it up while you’re there! If you need further persuasion, we’re offering $5 off SRP for the insert at the show! The pictures below are great, but don’t really do this thing justice. Every piece is astoundingly creative. 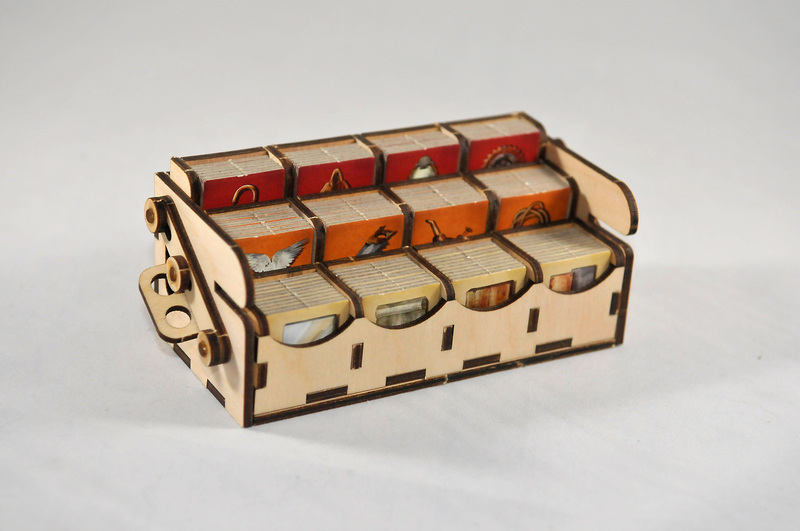 For instance, the component rack in the second picture below folds flat for storage, and the individual player racks can be removed from the tray in the third picture, to give to each player! 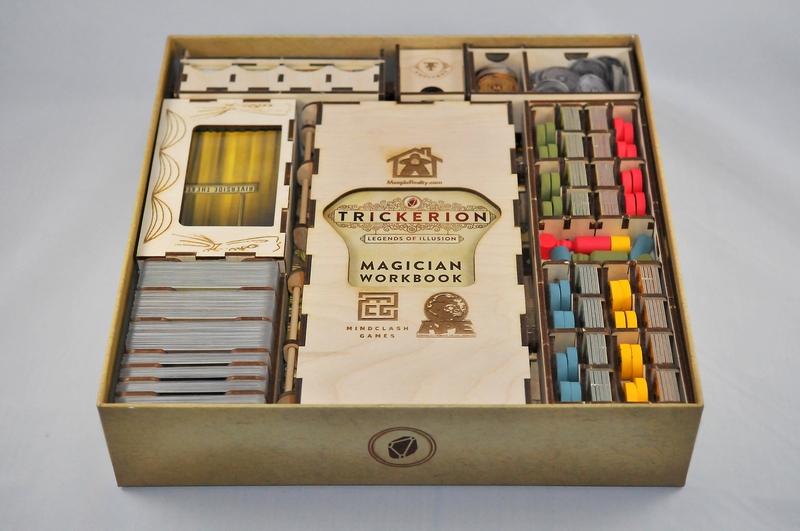 And if you don’t already have Trickerion, you can pre-order a copy from our second print run to pick up at Gen Con. And the expansion! 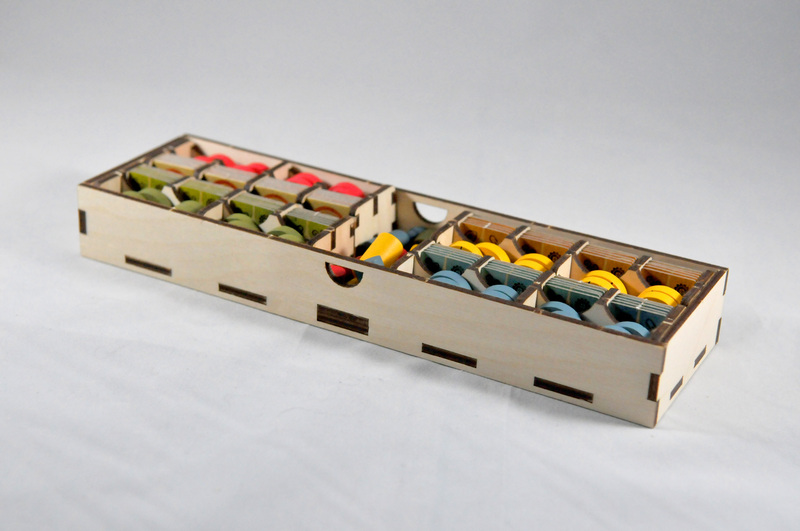 Order now and pick it all up at our Gen Con booth – #1739.